Keys are one of those items which have the extraordinary capability of vanish exactly when they are needed most. 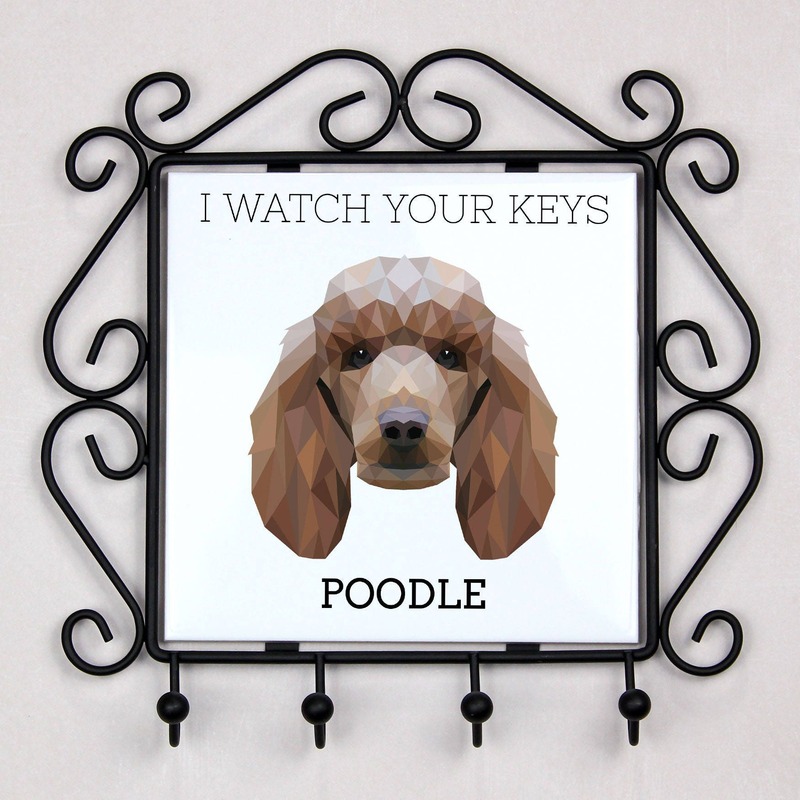 Now, your pet will bravely keep an eye on the keys hanging at the dedicated spot! The modern-looking rack will enliven every dog lover’s house, and help them avoid looking for their keys at the most unhandy time. Art-Dog is proud to present an entirely new collection of items for all dog enthusiasts. 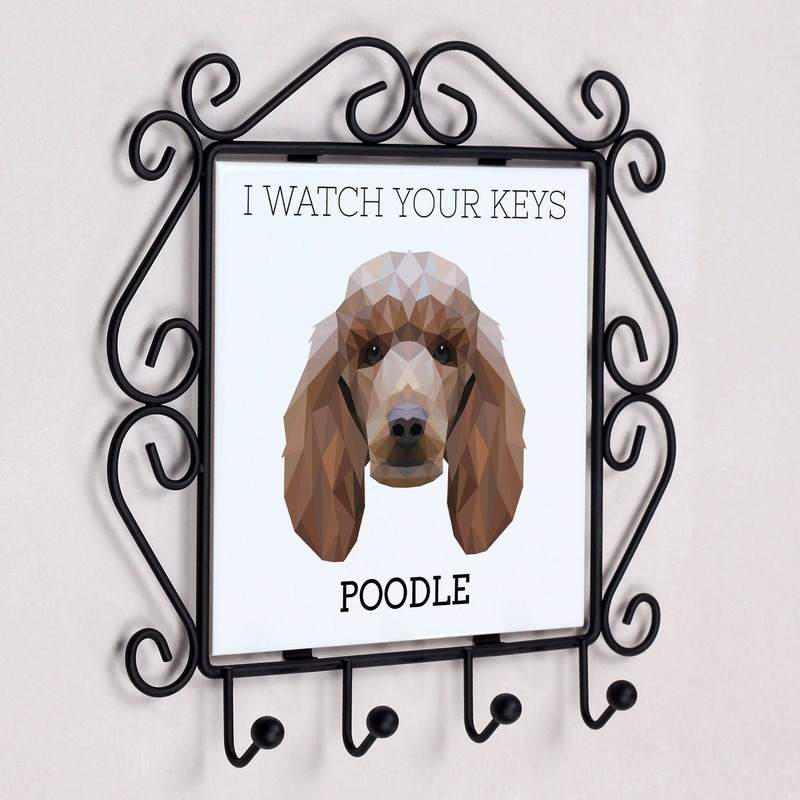 The fashionable and designer graphics of geometric dog faces imprinted on the ceramic plate fastened to the metal rack will certainly make everyone gifted with them happy! The printing is very solid, which means that each rack will serve for years to come.